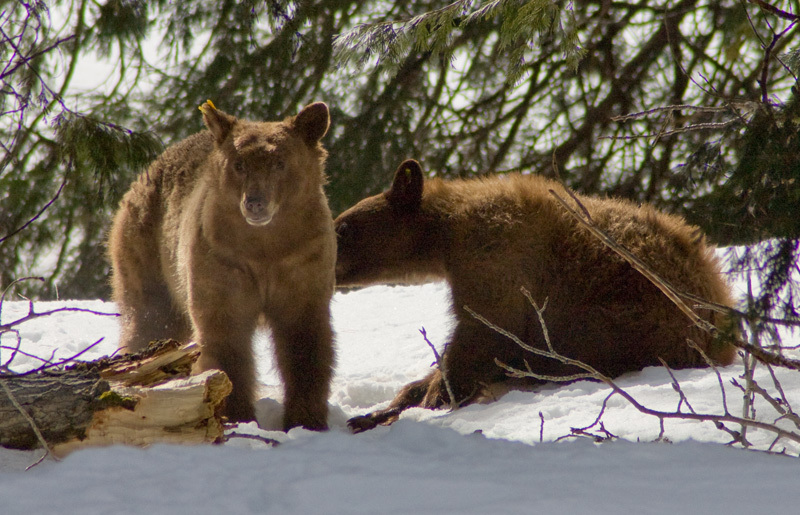 Yosemite’s bears, like most black bears, usually settle down in the winter time and hibernate. (There’s some confusion about the term because different animals hibernate in different ways, but black bears enter a state where they don’t move around, eat, drink, urinate or defecate for many months, and according to the North American Bear Center, leading physiologists have returned to just using the word hibernate, again.) But this year, there are a couple of bears in Yosemite that seem to staying up late to explore winter, (there’s a children’s story in there somewhere) and Tom and I were lucky enough to see them a few weeks ago.